Living Music with Nadia Sirota is a new podcast, launching in 2019, that demystifies classical music, bringing its major players down to earth and into your headphones. 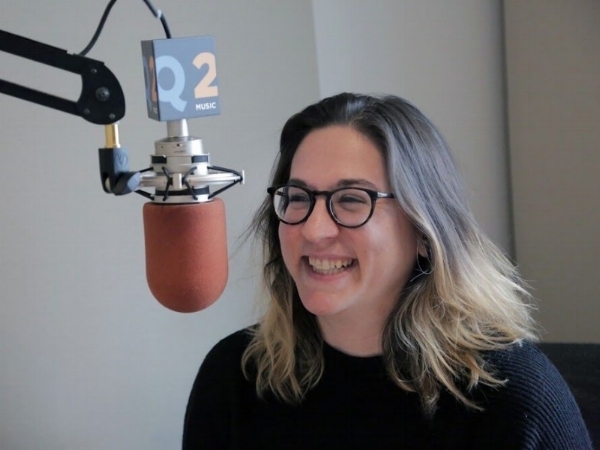 Meet the Composer was a Peabody Award-winning podcast from Q2 Music that takes listeners into the minds and creative processes of those who make the most innovative, compelling and breathtaking music today. The show is hosted by critically-acclaimed violist Nadia Sirota. A unique blend of interview, music and production, Meet the Composer aims to present the composer as a real person, as a thinker and as an artist. Meet the Composer provides richer and more meaningful context for new work than your average program note, CD liner or digital booklet, and an engaging entry point into the exciting world of new music. Thanks to New Music USA for their flexibility with the use of the "Meet The Composer" name, which became famous through their legacy organization founded by composer John Duffy. We're kicking off Season Three of Meet the Composer with a look beyond the composer to the performer, that unusual intermediary between the artist and the audience. How do performers from different cultures, who speak different languages, come together to perform the same piece? What happens when an ensemble completely messes up... and the audience loves it? How does a piece change when it’s played nonstop for twelve hours? We explore these questions and more, taking a seat on stage as we find out what it’s like to experience music from the inside-out.